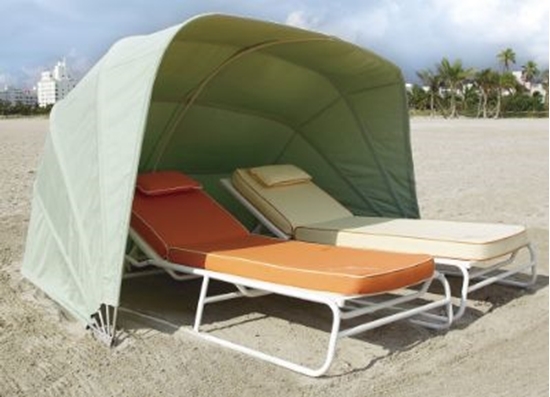 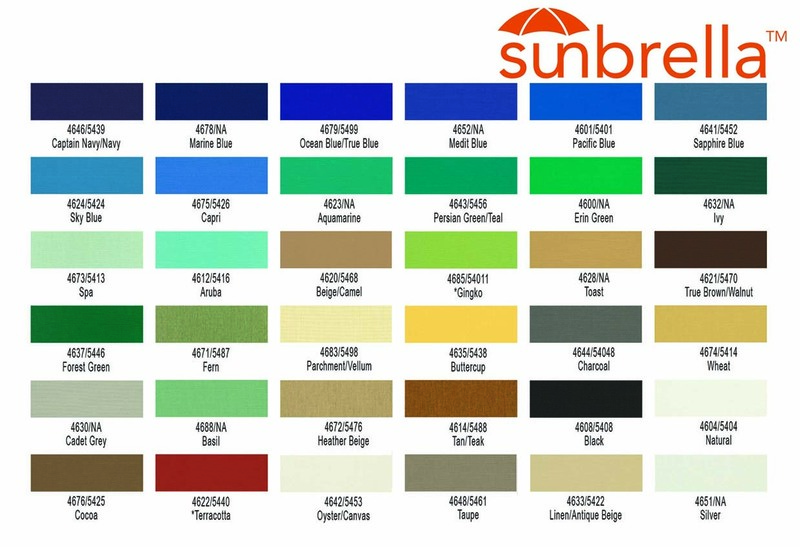 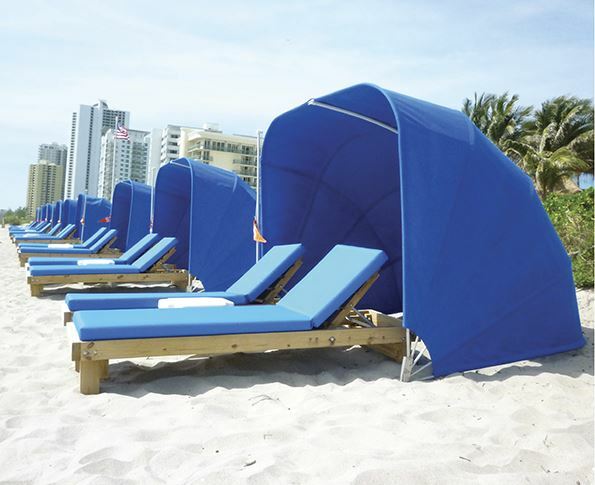 This Beach Cabana is made with 1/2" mill finish aluminum ribs and Sunbrella marine grade solution dyed acrylic fabric. Fits two standard chaise lounges side by side for lounging on the beach. 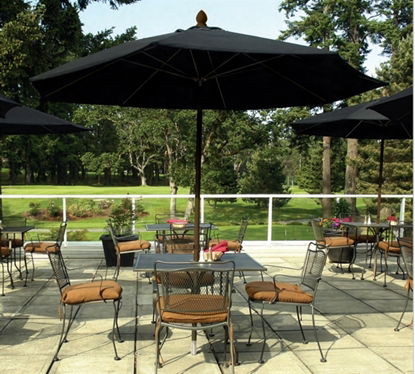 Measures 80" wide by 67" deep by 67" high. 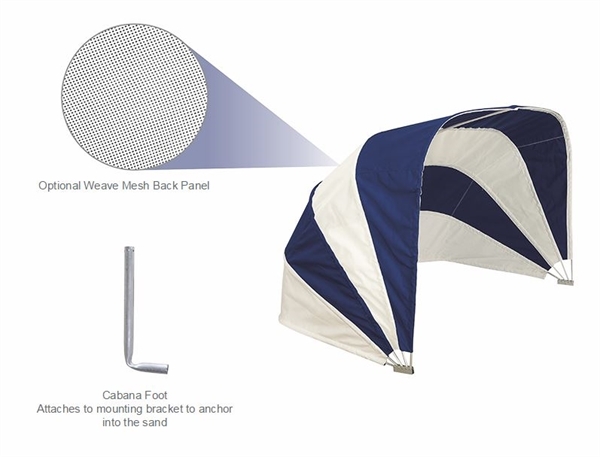 Weave mesh inserts give comfortable air circulation and added wind resistance.